Dr. Polan is passionate about orthodontics and loves being able to help his patients achieve their best smiles. He strives to keep a fun and relaxed environment in the office, while providing the highest level of care to each of his patients. Originally from New Rochelle, Dr. Polan earned his B.S. in Biology from Washington University in St. Louis before going on to earn two degrees from Columbia University, first his D.D.S. and then his M.S. in Orthodontics. While at Columbia, Dr. Polan was an active leader in the student-run free dental clinic, which provided free care for those in need, and he also regularly volunteered on the community dental van, which travelled to schools to provide dental exams and treatment to children in underserved communities. Dr. P was also lucky enough to be able to live in Argentina for a year, and he speaks excellent Spanish thanks to this experience. 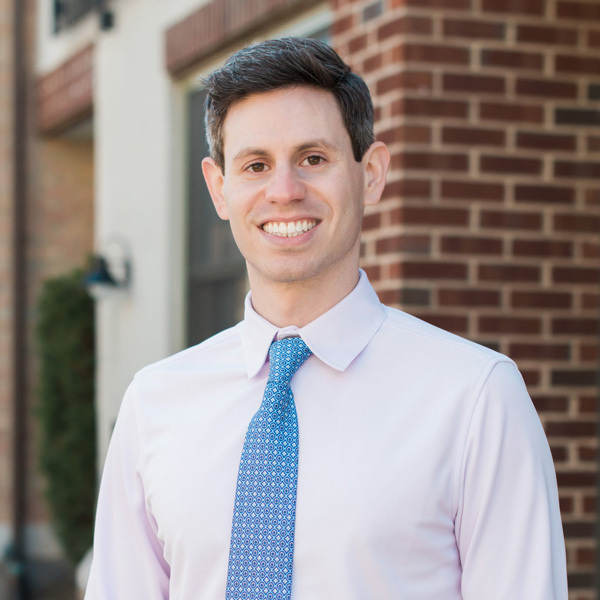 Before pursing his university training, Dr. Polan attended New Rochelle public schools from kindergarten through high school, where he was co-captain of the Cross Country team. Dr. P is very proud of his local heritage, and feels truly honored to be able to contribute to the Westchester community. Dr. Polan is trained and experienced in a wide variety of orthodontic techniques, from classic methods through modern cutting-edge technologies, such as Invisalign, lingual braces, and temporary anchorage devices. A true believer in lifelong education, he enjoys continuously exploring the latest research and advances in the orthodontic world, and he uses this knowledge to ensure he always provides the greatest care he can to his patients. Orthodontic treatment requires teamwork, and Dr. Polan is happy to be surrounded by the best teammates. In addition to his patients and staff, he has the benefit of a valuable working relationship with Dr. Catherine Woo of Riverdale Family Orthodontics. Together, the two orthodontists have a combined five Ivy League degrees between them. Dr. Woo shares Dr. Polan’s patient-first philosophy, and dedication to providing the very best in orthodontic treatment options. Working together, the doctors ensure patients in the area have access to exceptional, compassionate and lasting orthodontic treatment. Dr. P is a lifelong Yankees fan, and likes spending his free time outdoors, exploring new places, trying new foods, and studying languages. Do I Really Need to Wear My Retainer? What Are My Aesthetic Braces Options?